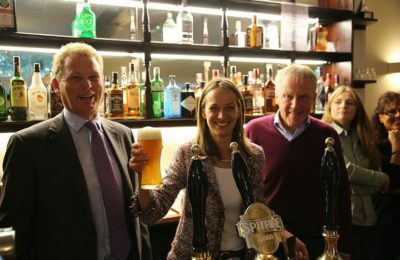 The grant helped purchase and refurbish the pub, simultaneously putting it into the hands of the community and maintaining services to help local people. The pub offers a friendly drop-in centre for anyone who feels lonely or isolated, or just want a chat. The elderly lunch club and internet training services the pub offers helps with social inclusion and health and wellbeing. After the discussions had around ‘save the pub’ campaign, there’s been a dramatic effect on the cohesion of the village. New and renewed friendships have been formed and 40+ volunteers are involved with the project. 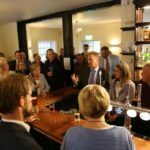 Members of the ‘save the pub’ campaign group commissioned a survey to establish what villagers might want and need from the pub to make sure it served the local community. . Local people then bought shares in the pub to the value of £187,000. Stockbury is a small rural community, with the older age groups being more represented than the young. The residents therefore tend to need more village-based services and activities. The Harrow pub first opened its doors around 200 years ago, but in recently years due to a succession of short term tenancies and a lack of investment, there was a decline in its use. The pub was listed as an Asset of Community Value and in September 2016 the Parish Council was informed that the pub was to be put on the market for £310,000. There was a strong desire in the village to keep the pub open, and a campaign group was quickly established. The community called a public meeting, and a committee was formed. The group commissioned a survey to establish what villagers might want and need from the pub; they asked residents how they might use the pub and what they would like it to provide. The results indicated a desire for good local food, reasonable prices, a social atmosphere, a café during the day, the provision of midweek lunches and a family room. Over half of the responses were from people aged 56yrs and over, with 20% over the age of 70. The results of the survey helped the campaign group to formulate their business plan; it also helped them to identify sources of funding to assist with the purchase of the premises and carry out any necessary refurbishments. 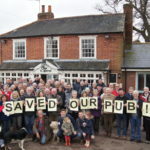 Within a short period of time, local people had pledged just over £187,000 to buy shares in the Harrow Community Pub. This pub is making a big impact and it offering a friendly drop-in centre for anyone who feels lonely or isolated. The services the pub offers helps with social inclusion, health and wellbeing and sense of pride in the community. Health and Wellbeing – The lunch club ensures older people in the village have access to a hot and nutritious meal. By lunching in the company of friends and neighbours their wellbeing is also enhanced. The elderly or infirm, especially those in outlying parts of the village, benefit from the use of the village minibus as residents are collected and returned home afterwards. Better Access to Public Services – The Internet drop-in sessions benefit people who do not have access to many of the web-based services for utilities, banking, hospital appointments, pensions, etc – access helps them to conduct business and to access benefits without physically having to go to the business premises or spend hours on the telephone. The Harrow community pub received a small grant from the County Council which funded two laptops and a printer. 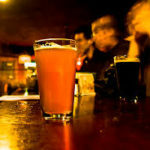 Greater Community Cohesion – Already, following on from the meetings and casual gatherings that were held to discuss the ‘save the pub’ campaign, there has been a dramatic effect on the cohesion of the village. New and renewed acquaintances and friendships have been formed and 40+ volunteers (of all ages) are now involved in all aspects of the project. The pub also works well alongside the church and the village hall, providing a place for the community groups which meet there to come for refreshments. 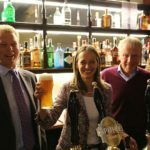 Awards: In 2017, The Harrow won CAMRA’s prestigious Pub Saving Award, which recognises communities that save their beloved local pub from closure. Judges were particularly impressed by how the residents of Stockbury came together to save their pub and how they turned The Harrow into a thriving community hub. It was a fantastic achievement to save this pub from closure, thanks to the help of hundreds of people – stakeholders, villagers, councillors, press, MPs and groups like Pub is the Hub and Plunkett.